FANTASTIC LOCATION - Only 3-minutes access to the open Gulf of Mexico!!! Waterfront home on .22 acre with long 80ft straight seawall awaiting the docking / boatlift(s) configuration custom fit to your power & sailing yachts just as your tropical waterfront lifestyle envisions. The pool-spa/patio is large as well, facing western sunset skies reflecting over the 210ft double wide canal across from million-dollar homes. Open floorplan with kitchen-dining-living greatroom adjoining the long 35x10 family room with tall sliders all viewing out onto the pool and waterfront. Very spacious 18x22 Master bedroom suite features a tranquil private sitting area and sliders out to the roof-covered patio and pool deck. Roomy 14x15 guest bedroom combines with the main bath as second master. Oversized true 2-car garage. Patio fence-enclosed. Tile roof replaced 2001. The communitys private sandy beach on the open Gulf is a quick couple blocks stroll away; 2 boat ramps & Yacht Club. Pristine gorgeous all-natural barrier islands begin right off Gulf Harbors from Anclote Key stringing south to Honeymoon, Caladesi, Ft Desoto onward to the FL Keys, rated in the nations top best beaches. Cotee & Anclote river mouths 15 minutes to north & south have waterfront restaurants with live music & mooring docks! Excellent fishing, diving, water sports, shelling, island exploring right outside your door. 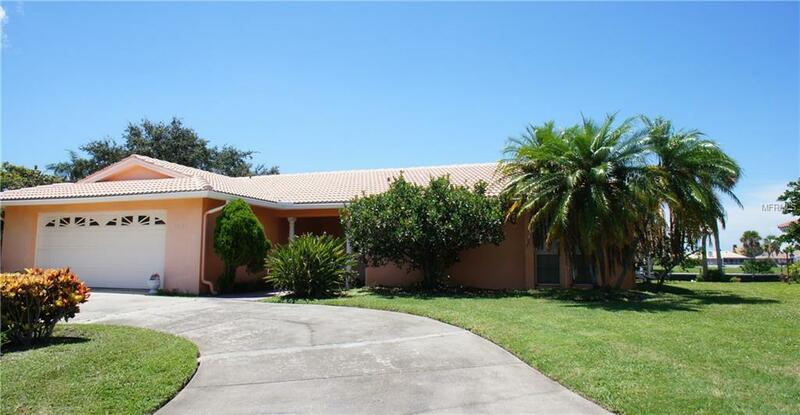 Heres your chance to acquire a prime location waterfront home in Gulf Harbors best West section at a low price. Seize it now!